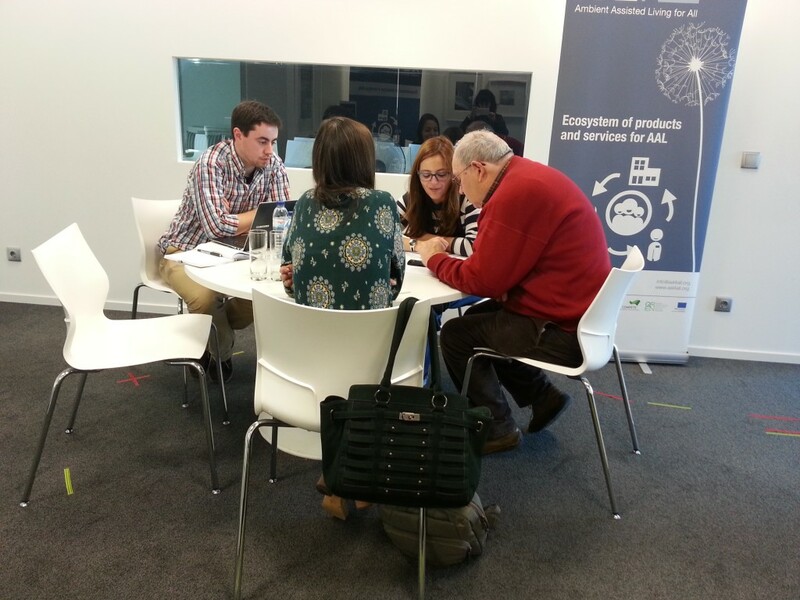 A new pilot study led by researchers at Fraunhofer Portugal AICOS has just began, in Porto. GoLivePhone is a mobile app that acts as a real companion for older people. GoliveClip is a wearable that captures body movements and communicates with the GoLivePhone app. After several lab tests conducted at Fraunhofer AICOS, researchers want to get real world data about the use of these technologies. This study will enable researchers to understand the role of technology in assisting older people in their daily routines, for example, in terms of maintaining social relationship and helping them monitoring their physical activity. The first group of participants from the user network COLABORAR initiated the study, by answearing questionnaires and performing some motor-physical tests. Then, they will participate in a workshop to get acquainted with the app and the wearable that then they will get home. The study will run during a year and will bring important information about the use of technology by older people in the real world. 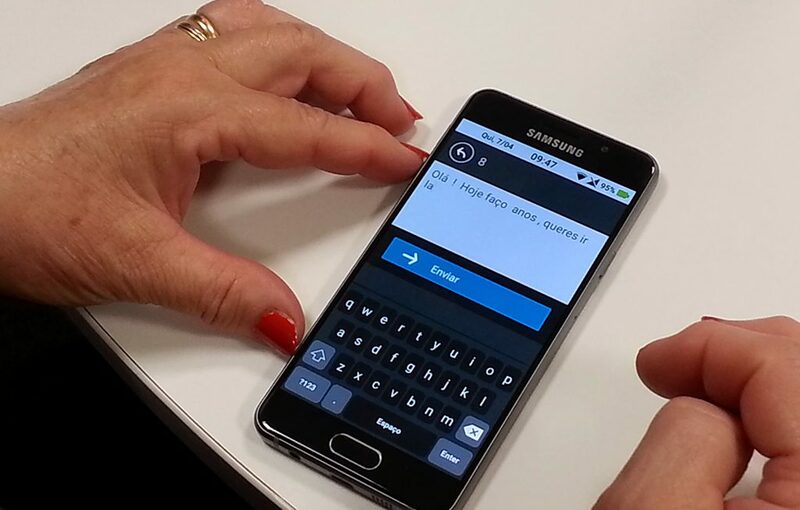 A longitudinal study on smartphone use by older adults in Porto, coordinated by Fraunhofer Portugal AICOS‘ Human-Centered Design team, is being set-up. 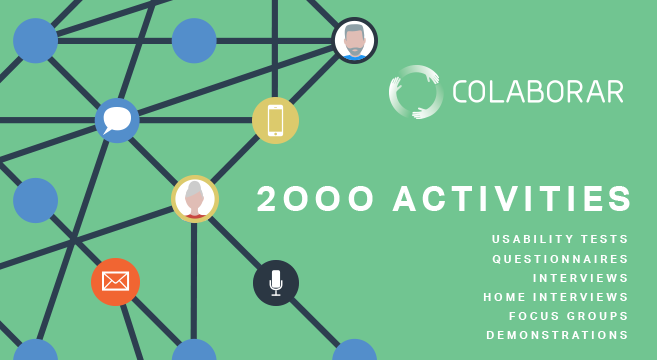 Participants were recruited by COLABORAR and are ready to begin this longitudinal study. 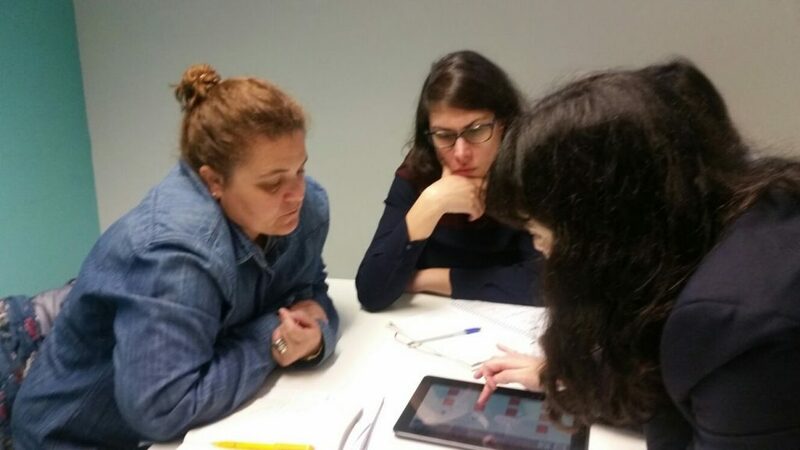 Using a qualitative research approach, researchers of the Human-Centered Design team of Fraunhofer Portugal AICOS are starting a longitudinal study of over a one-year. This study aims to better understand how people use their smartphone and the possible changes in the patterns of its use over the time. Participants will use a costumized senior-friendly smartphone app that enables them to perform common mobile tasks such as sending messages, make calls and taking photos. Emergency calls and help requests are also available. They can use the medication reminder app, as well as a navigational application. Smartphone-based monitoring of older adults is part of this study; for this purpose, activity level monitoring and fall detection apps are included. This monitoring is made possible through the use of a wearable device — the GoLiveClip. In addition, users can receive remote help from a caregiver who will use a web application. The modules of the app won several prizes: Google, Vodafone, Zon and World Summit Award Mobile. 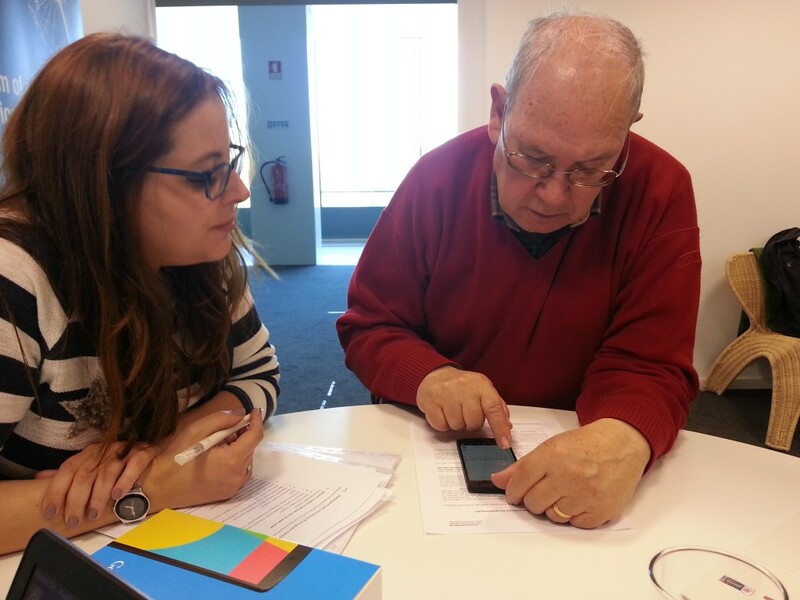 All modules of the app were developed according to the needs of older adults and were tested by COLABORAR volunteers. Data collection will be made remotely in natural settings and every three months through in-person evaluations at Fraunhofer AICOS. This study will enable to understand how older adults use tools to prevent isolation, promote their autonomy, safety and quality of life. COLABORAR recruited more than 50 older adults interested in participating in this study. They are enthusiasts about technology, although not all of them own a smartphone. 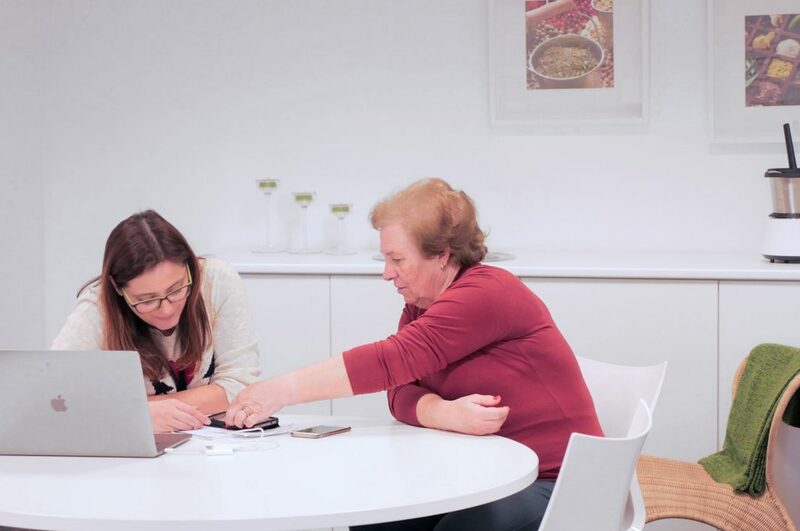 This enables us to have individuals with different digital skills in the sample, making the sample more representative of the population of older adults. The trial of the project SAL – Service Assisted Living is now finished. Over the last 2 months, participants tested the mobile application for skin monitoring by performing weekly evaluations of their skin moles. The application kept an historic record of all images captured by the smartphone camera. 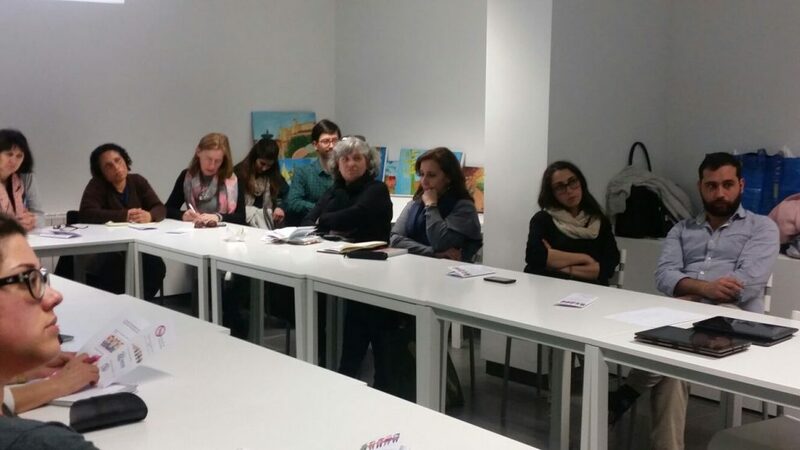 At the end, participants gathered with researchers and pointed out the main difficulties they had during the experimental time. Users’ insights and thoughts are very important for us at Fraunhofer AICOS, as you already know.